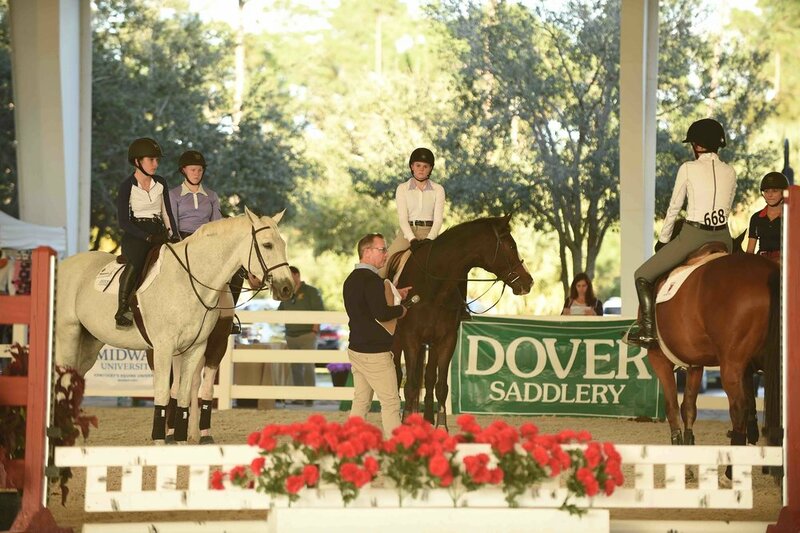 WEST PALM BEACH, Fla. – Nov. 13, 2018 – Management of the 2019 College Preparatory Invitational (CPI) announced that Chris Mitchell, head coach of the Randolph College equestrian team, will serve as clinician and CPI “Hire-a-Coach” at the Florida Horse Show. CPI Florida is scheduled for Jan. 17-20, 2019 at the Jim Brandon Equestrian Center in West Palm Beach. Mitchell will lead six mounted groups during the CPI Florida Clinic, Friday, Jan. 18 starting at 9 a.m. He will also be available to coach student riders at the CPI Florida Horse Show who attend the event without a trainer. All riders participating in the event must have a coach present to participate. The CPI developed the program for student riders whose trainers are unable to attend. To sign up for the CPI Hire-a-Coach program and for more details click here. "I think the CPI events are a wonderful opportunity for young riders to showcase their talents in front of a large number of college coaches in one place," Mitchell said. "The students have the opportunity to interact with the Coaches in a way that is not possible under normal situations and the students are finding more opportunities available to them that they did not know were a possibility. Also, CPI allows the riders to ride with a college coach to get an accurate glimpse into college riding." Mitchell is an accomplished coach of the collegiate equestrian format. His strategic approach to competition and attention to detail has led to many national top-10 national placings and a national championship. Mitchell joined Randolph College in 2012 after a successful 13-year tenure at Cornell University in Ithaca, New York. While at Cornell, he coached riders to regional and zone championships. His teams claimed 27 collegiate horse show team crowns, including four Ivy League titles. During the fall of 2011, Mitchell coached Cornell to six invitational titles in eight competitions, matching a school record for victories in a season (six show titles in 2003-04). The team had a banner 2009-2010 season when Mitchell's teams won at Skidmore and Hartwick and culminated with the regional reserve championship. The following season, his team won its first-ever regional championship after claiming four regular season team first-place prizes. Earlier in his career, Mitchell was an instructor and trainer at the Sleepy Hollow Country Club in Scarborough, New York, and the barn manager and trainer for Lion Hill Farm in Easton, Connecticut. He also served as an equestrian instructor for Sacred Heart University and was an assistant coach and instructor at Pace University. 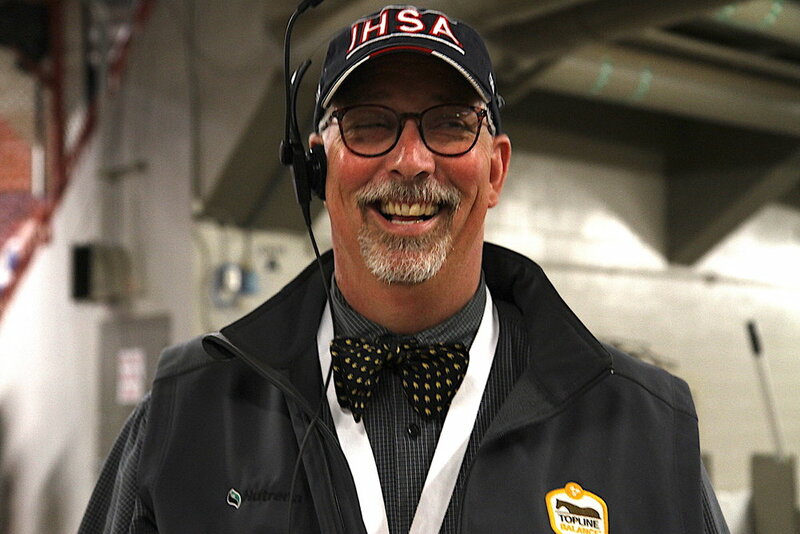 Mitchell was a member of the NCAA steering committee for equestrian sport and is an active professional member of the United States Equestrian Federation (USEF), United States Hunter Jumper Association (USHJA), and serves on the IHSA board of directors. He is a graduate of Longwood University in Farmville, Virginia, with a degree in business administration and marketing. Michael Dowling, coach of the Centenary University team was the clinician at CPI in 2017.